You would think that mothers would be so appalled at seeing this, but no, they were the ones putting them in there! 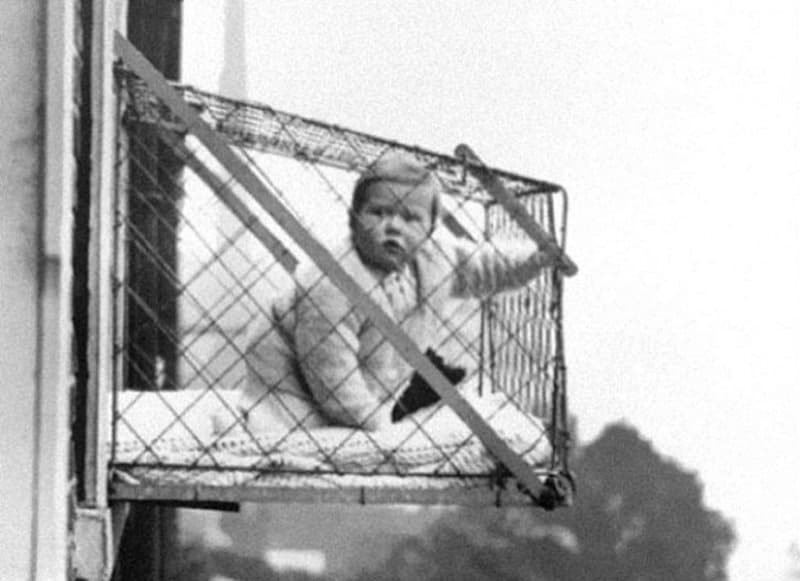 These used to hold babies and it gave mothers the chance to clean the house without any disturbances and let the child get some time in the sun. 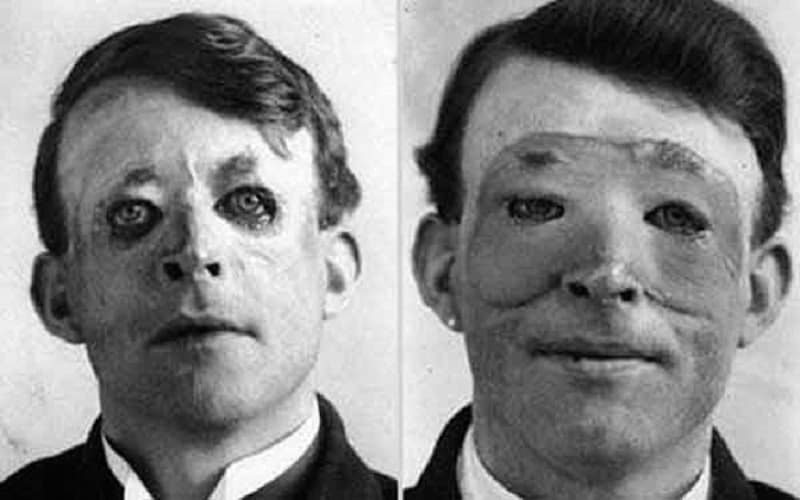 This is Walter Yeo and he was the first advanced plastic surgery patient back in 1917. That is some very basic work, especially compared to what people are having done nowadays. We are not going to lie. We would love to see these in place today! These mobile holding cells were used back in the 1920’s, but apparently we can’t put our criminals on display today. 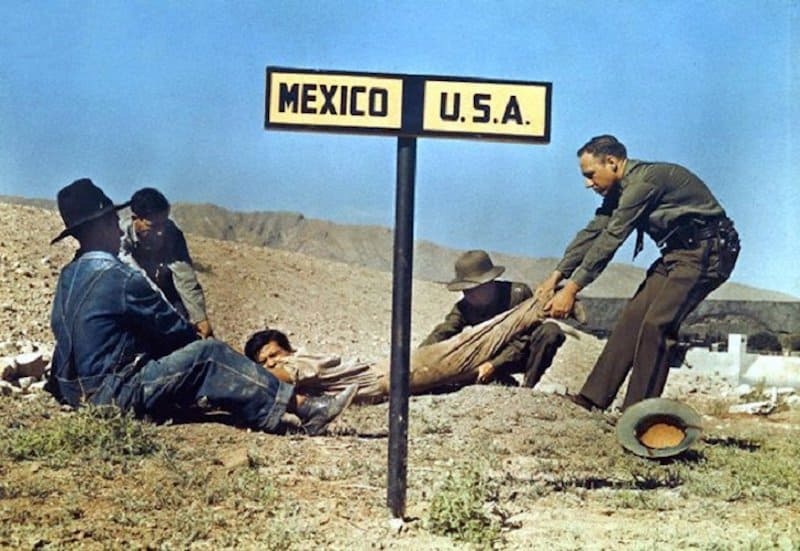 This is how the US Border used to be. Now we have big walls built and border patrol constantly monitoring it. 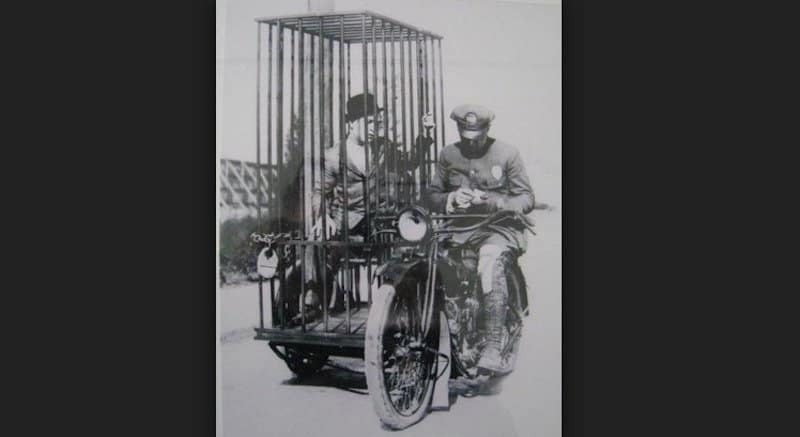 People used to run freely back and forth, but it looks like sometimes it was not a smooth transition for some people! The future is so bright for these babies that they had to wear shades! 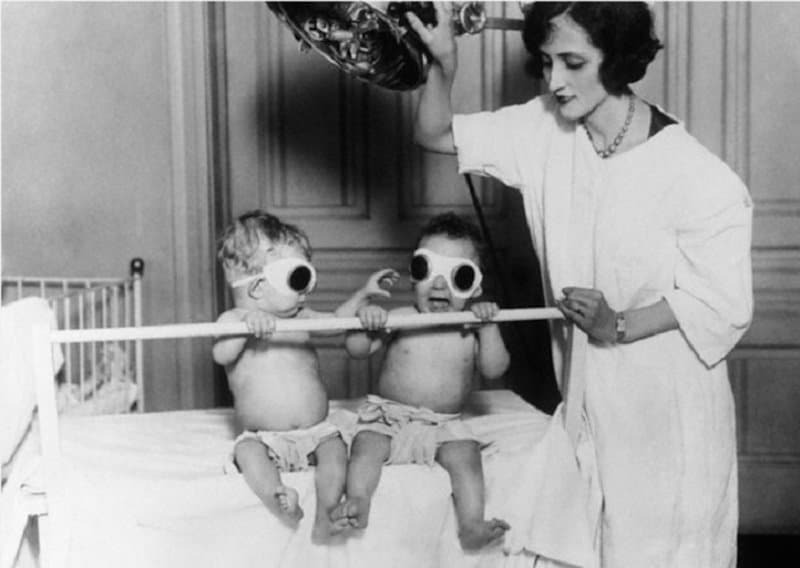 In actuality, this is how they used to shine the UV lights on the babies back in 1927. Thankfully, we have advanced in the medical field and made this unnecessary. 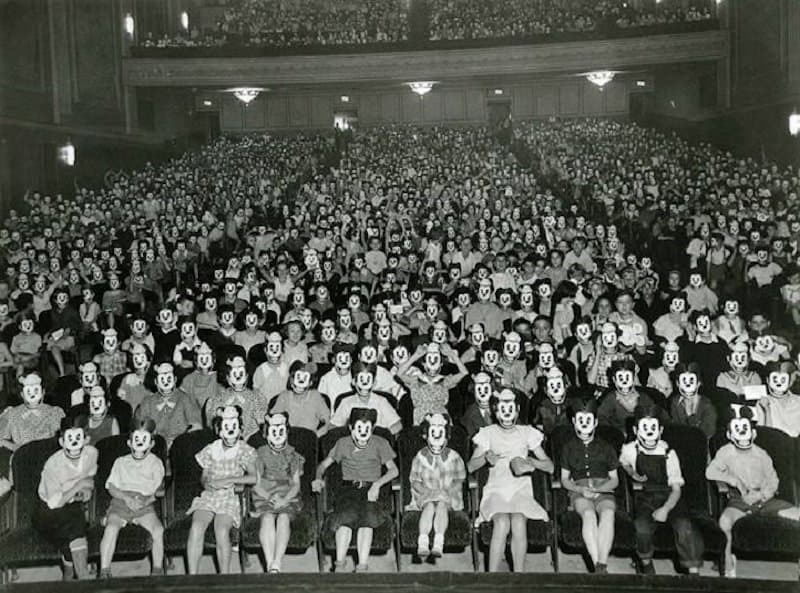 Yes, that is a photo of a wax museum back in the day. How creepy was this artist? 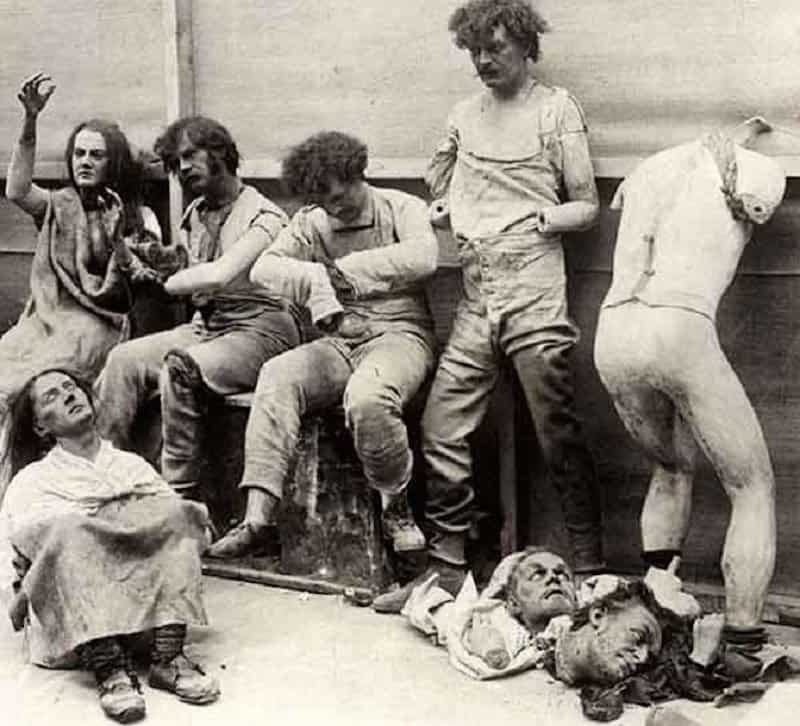 As creepy as it is, those people are still done very well, but we don’t think the heads on the ground are necessary and just scary! 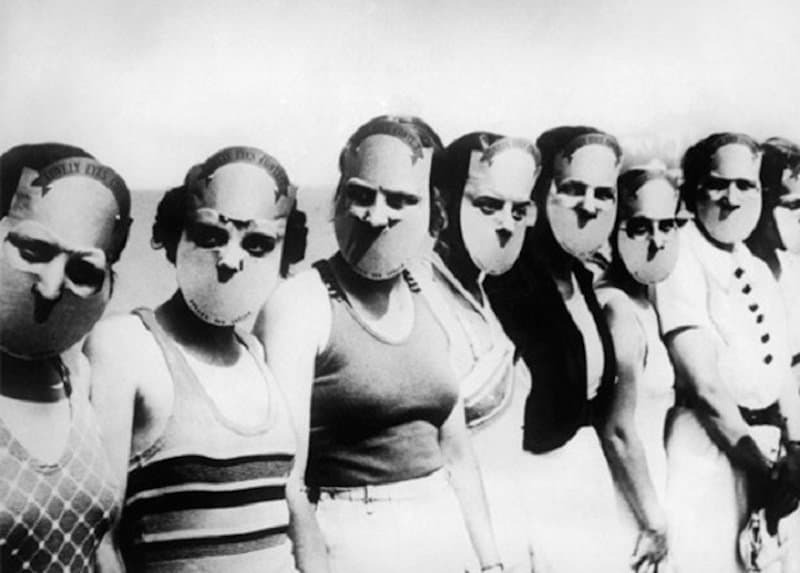 This was the “Miss Lovely Eyes” beauty contest and it was based solely on who had the prettiest eyes. To make sure nothing else factored into the decision, they had to put those hideous masks on! No, that is not game money that these kids are playing with. 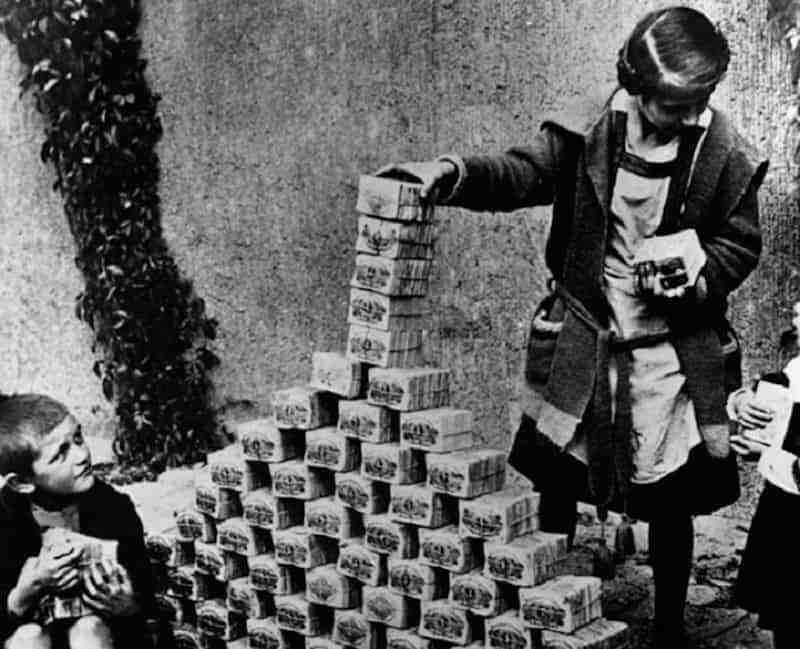 That is actual money after WWI ended and the money lost all of it’s value due to hyperinflation. The money is worth nothing, so let the kids play with it! 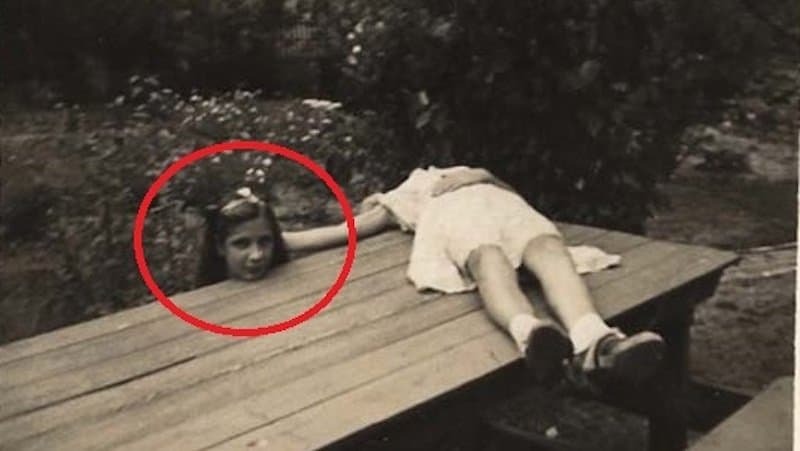 Nowadays we think it is cool to plank, but this girl had it right way back in the day. This is called “headless horsemanning” and people are still doing it today, but how creepy with the black and white photo! 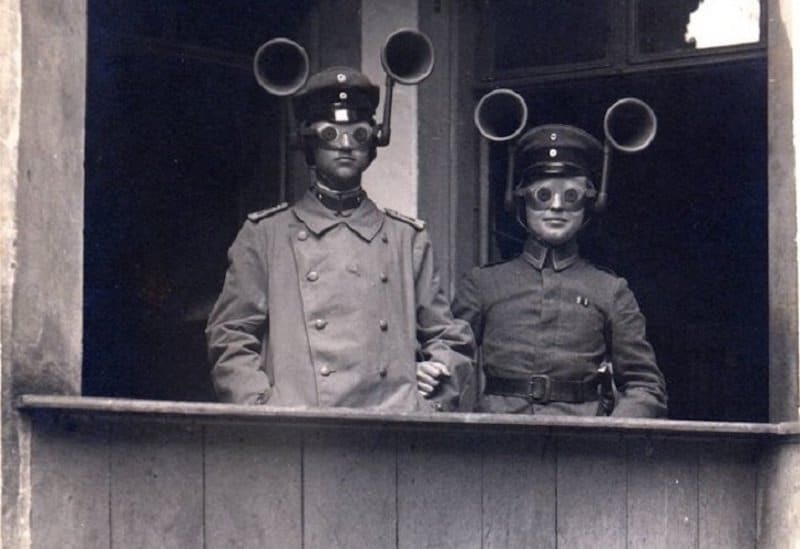 As much as those look like Mickey Mouse ears, they were actually worn during times of war and could help find sound. They would alert soldiers on where the enemy planes were coming from, so they are weird looking, but probably saved many lives. 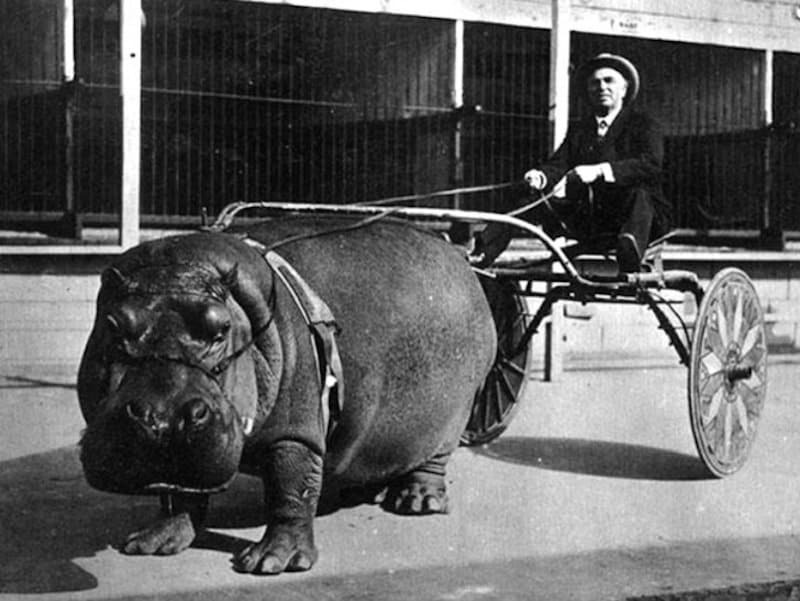 Animal cruelty used to be a cool thing to do. 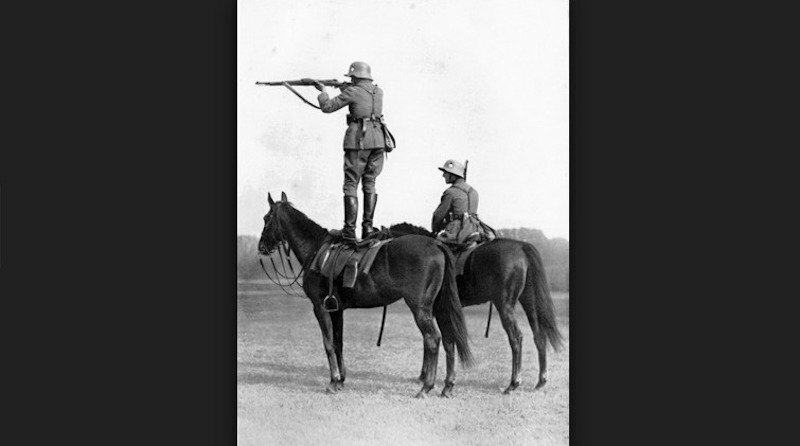 PETA must not have been formed yet, as people would strap this on many animals and ride them around town. 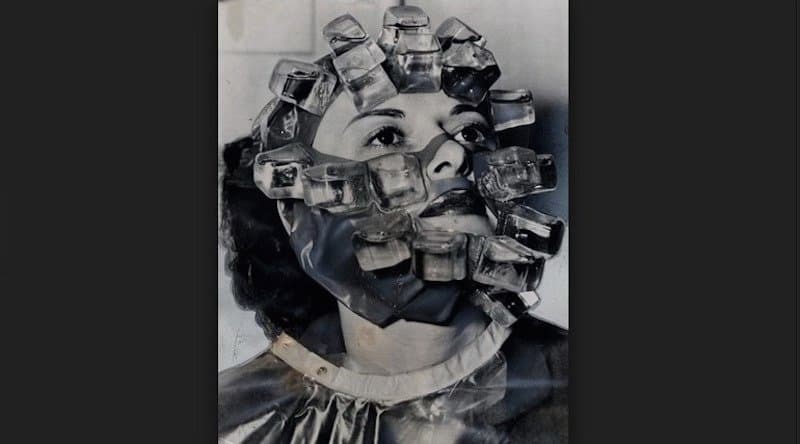 At the time, this treatment was considered good for the face. 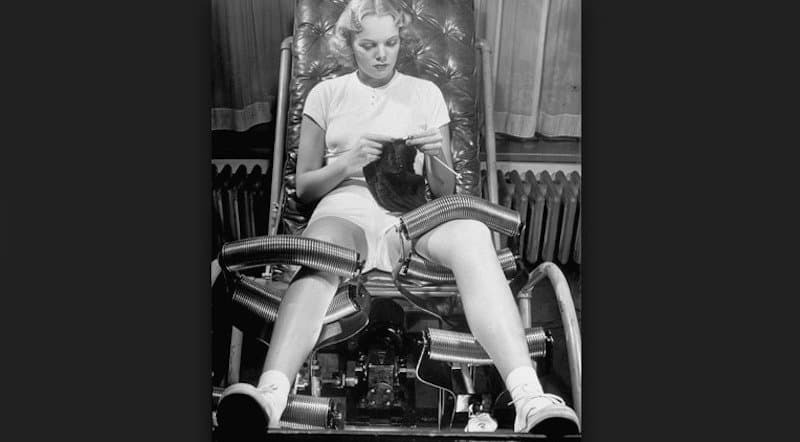 However, as time went on, it was considered impractical and just a good laugh to see anyone using it. 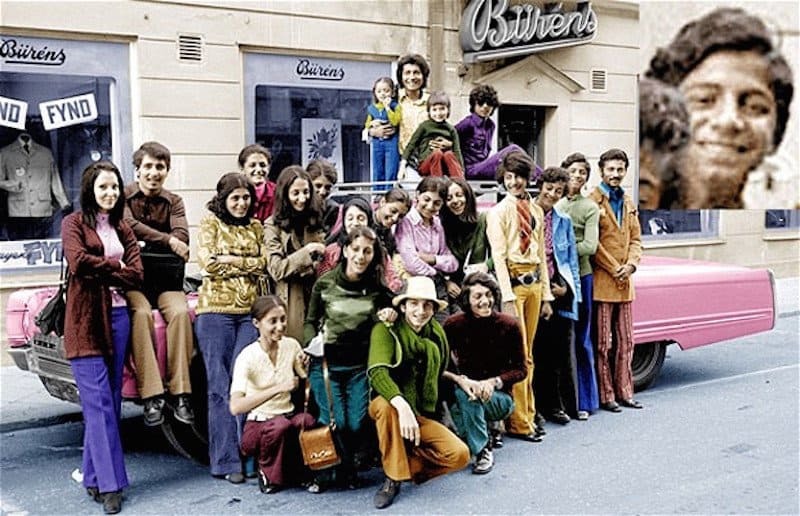 From the looks of this photo, Osama bin Laden was a happy boy from a happy family. However, he grew up and did not do nice things! How creepy to see him so young and smiling. 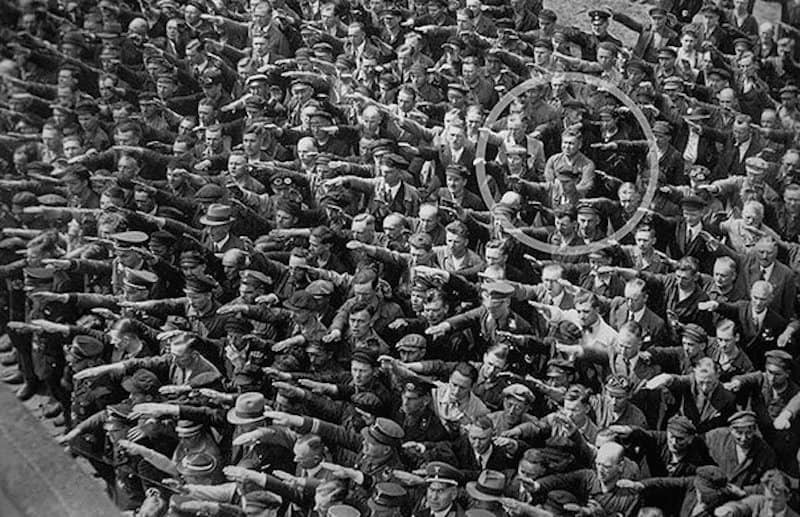 This photo is so wild to us, as we have a massive group of people in a photo doing one thing, with one guy not wanting to be included. 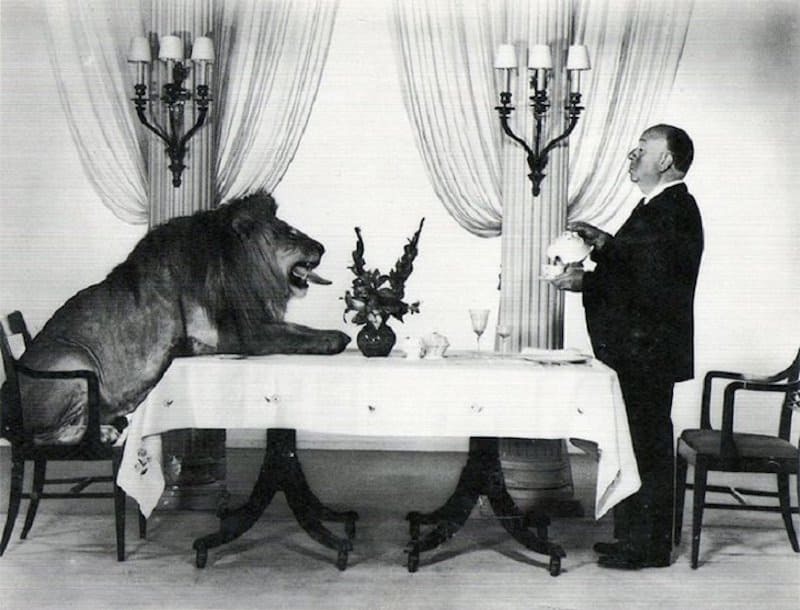 We are guessing that the MGM Lion got some perks back in the day. 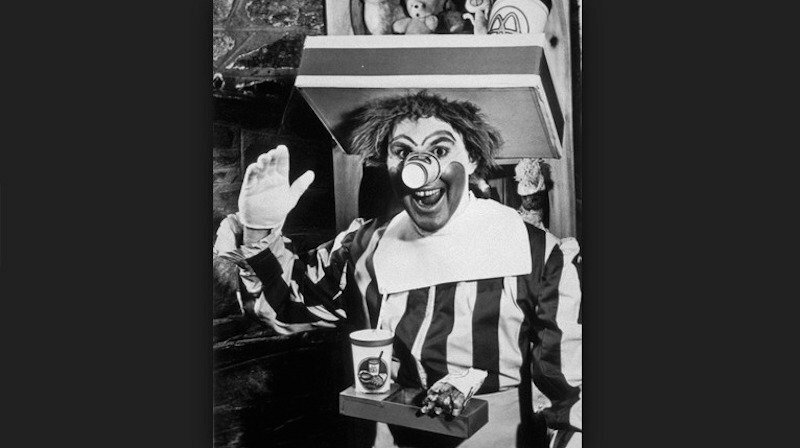 This was the face of MGM and he got his own butler and to eat at a table! 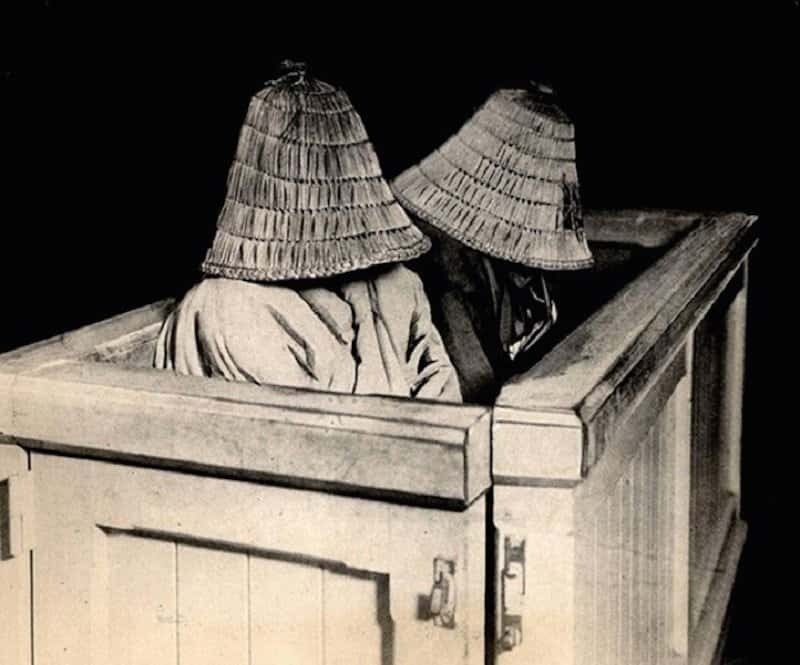 The value of a face in Japan used to be worth a lot, so when someone did something wrong or committed a crime, they would wear these things and lower their head in shame. They were often worn in courtrooms, but they just look like a lampshade on their head to us.